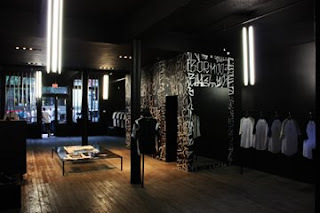 Here are a few pics of the previously mentioned Stussy/Neighborhood shop that our camp has just finished. The shop opens today. 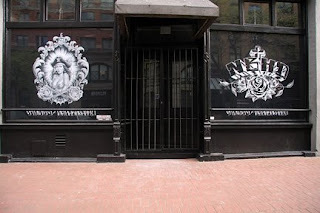 The graffiti on the walls reminds me of the legendary CBGB. The five rings represent the close unity and friendly meeting at the Olympics between athletes from five continents.